I recently saw this excellent TED video about how to teach the basics of electricity to children using electricity conducting playdough and letting them be circuit designers, and decided to try it out. The dough can be hooked up to all kinds of fun stuff including LEDs, motors, arduinos, MaKey MaKeys etc. 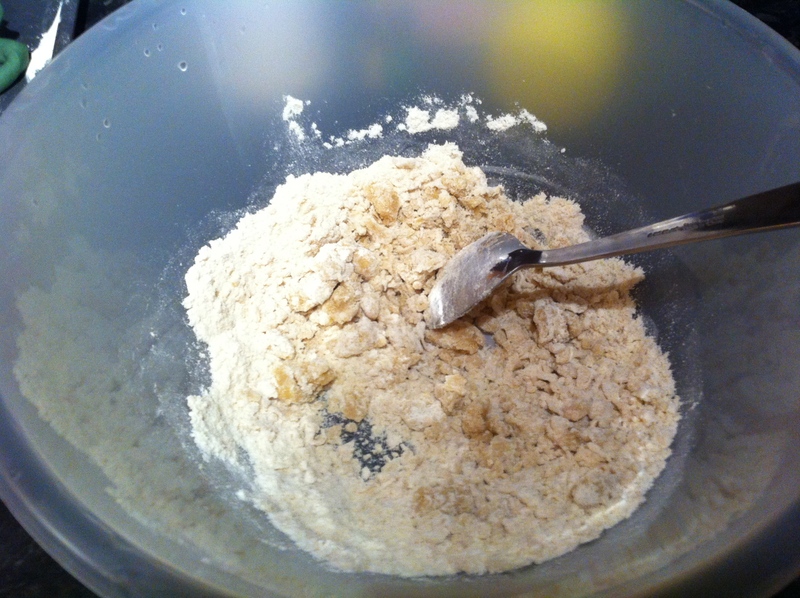 Add all the ingredients except for about 60-70g of the flour in a pot and stir well. Put the dough on a baking tray with a bit of flour, and knead in the remaining flour, a bit at a time, until you reach that special playdough-y consistency. Check the quality by making some basic sculptures. 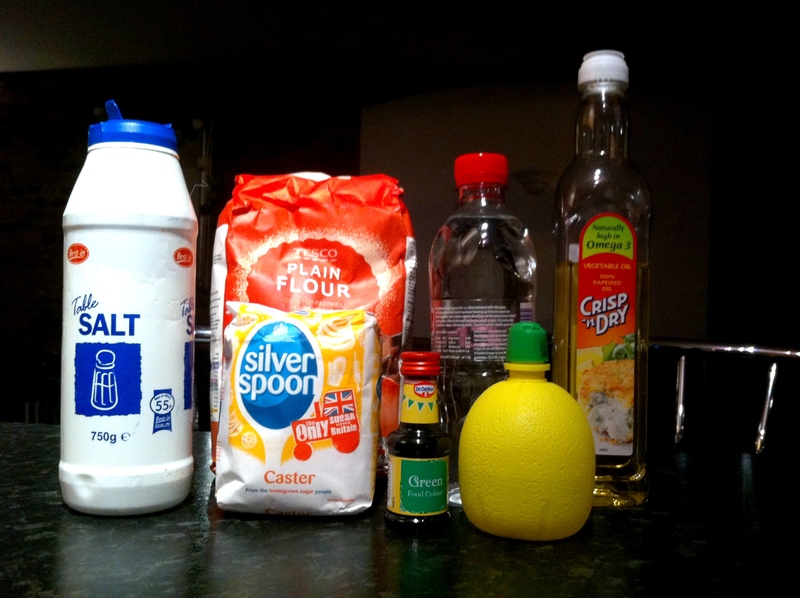 Mix 140 grams of the flour with the sugar, vegetable oil and a tiny bit of the water (about 15 ml) in a bowl. Then continue adding a little bit of the water at a time, until most of the water is absorbed in the dough. 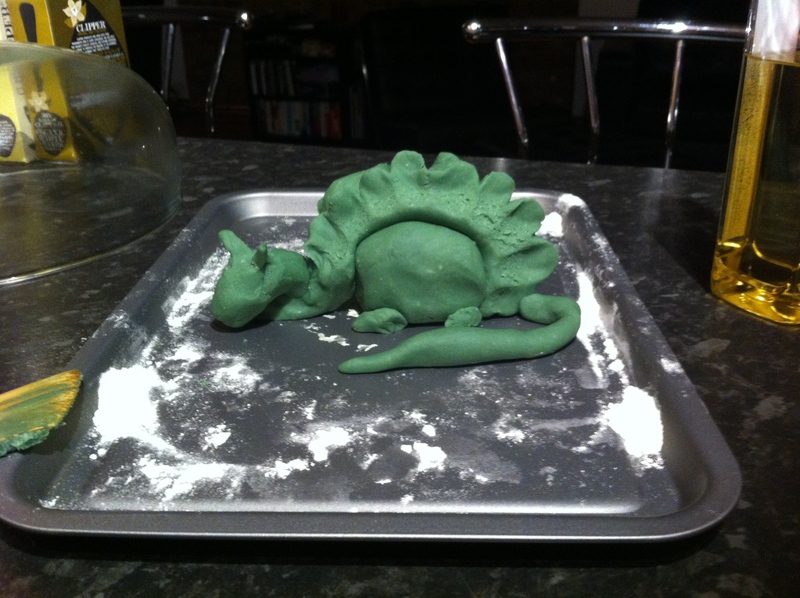 Then knead in the remaining flour/water until you reach a good playdough-y texture. 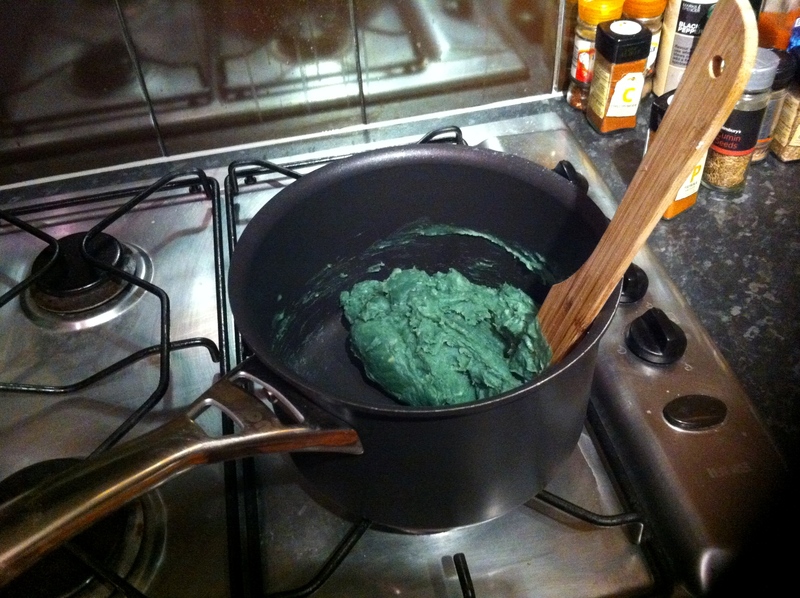 Now all you need to do is test the playdough for conductivity and non-conductivity. This can easily be done with some batteries and a LED. 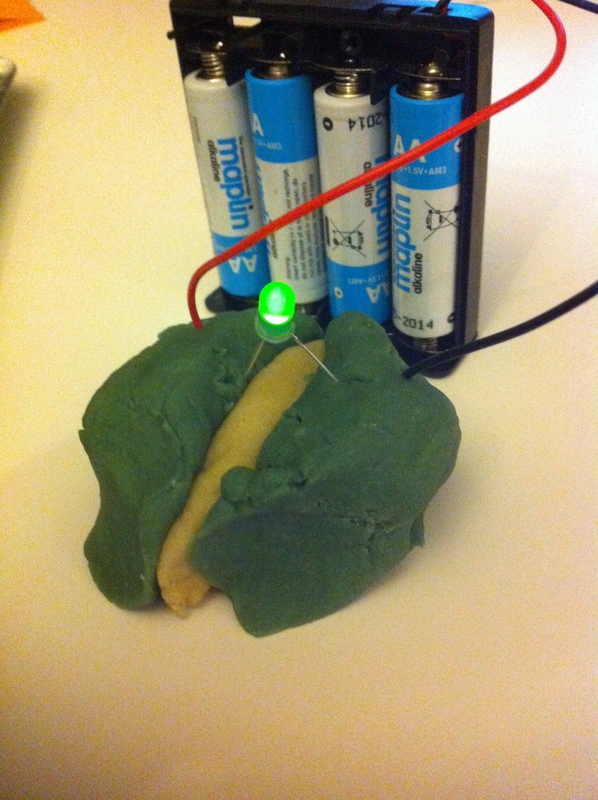 Make two lumps of conductive dough, hook it up to the batteries, and stick one leg of a LED into each lump. Notice if you bring the two lumps together so they are touching, it short-circuits and the LED no longer lights up. 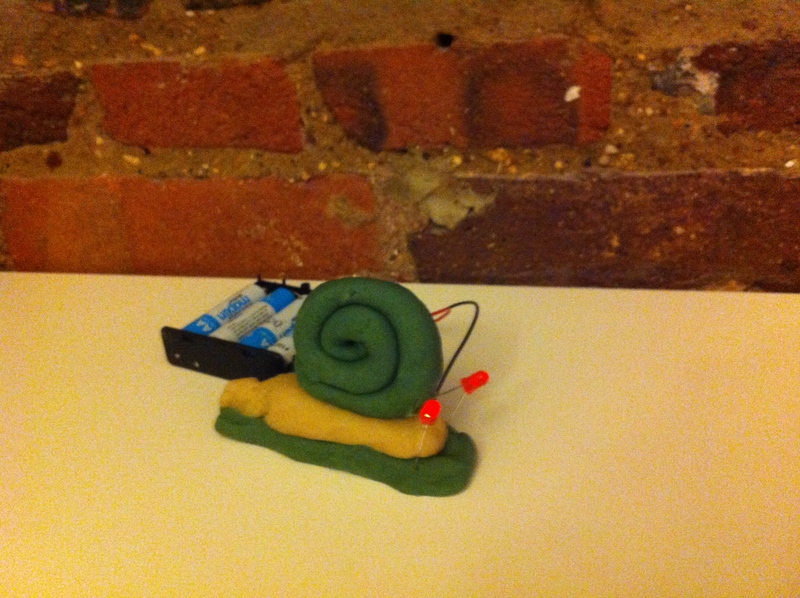 So stick some insulating dough between the two lumps and voila, squishy circuits 101 is complete. Have fun playing, and please let us know about any cool things you make! The dough lasts for several weeks if you keep it in an airtight container or ziplock bag. Remember to clean off the batteries/LEDs/metal bits with a damp cloth after using them with the dough, as salt is very good at corroding metal. I learnt that the hard way. * Except for when it comes to temperature. I still think in Celsius rather than Kelvin. Oh well.